To raise awareness for February Heart Month, I am joined by Amy Sturm, a cardiovascular genetic counselor. She has 15 years of experience in cardiovascular genetics, personalized genomics, research, and education. Amy is the Director of Cardiovascular Genomic Counseling and Professor at Geisinger Health System's Genomic Medicine Institute. There she provides leadership for the scaling up of genomic counseling efforts in the MyCode Community Health Initiative. She serves as the President-elect and the Cardiovascular Genetics Expert at National Society of Genetic Counselors (NSGC). Amy also works with The Familial Hypercholesterolemia Foundation and The Sudden Arrhythmia Death Syndromes (SADS) Foundation on their important advocacy work, research, and medical education programs. On this episode, we discuss….. Curious about the patient perspective in cardiac genetic testing process with a genetic counselor? 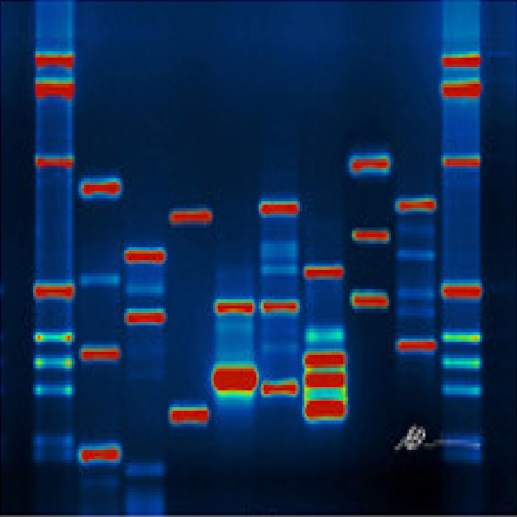 One of her patients also wrote about his genetic testing experience guided by Amy. Stay updated on new episodes and activities of DNA Today via Twitter, Instagram, Facebook and iTunes. Questions/inquiries can be sent to info@DNApodcast.com. genetic counseling, cardiac, cardiac genetic counseling, cardiovascular, cardiovascular genetics, cardiovascular genetic counselor, cardiac genetic counselor, cardiovascular genetic counseling, Heart Month, Cardiovascular Genomic Counseling, Geisinger, Geisinger's Health System's Genomic Medicine Institute, Geisinger health, MyCode Community Health Initiative, NSGC, National society of genetic counselors, Cardiovascular genetics expert, Amy Sturm, Amy Curry Sturm, Familial Hypercholesterolemia, Familial Hypercholesterolemia Foundation, Sudden Arrhythmia Death Syndrome, Sudden Arrhythmia Death Syndrome Foundation, inherited cardiovascular diseases, inherited cardiac diseases, Long QT syndrome, family history, family health history, genetic testing, cardiac genetic testing, genetic testing cascade screening, cardiac disease prevention, heart attack prevention, how to prevent a heart attack, notifying at-risk relatives of patients genetic counseling, Am I at Risk for Heart Disease?